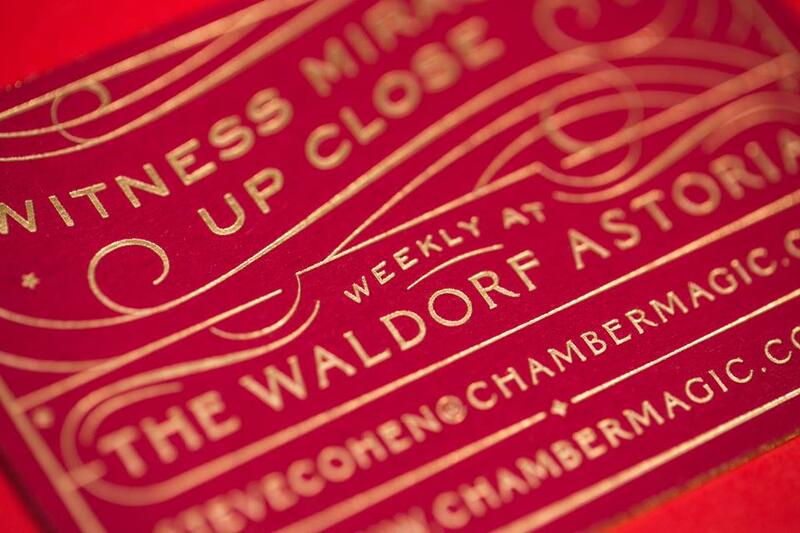 Foil detail is typically done with copper plates, which hold great detail. 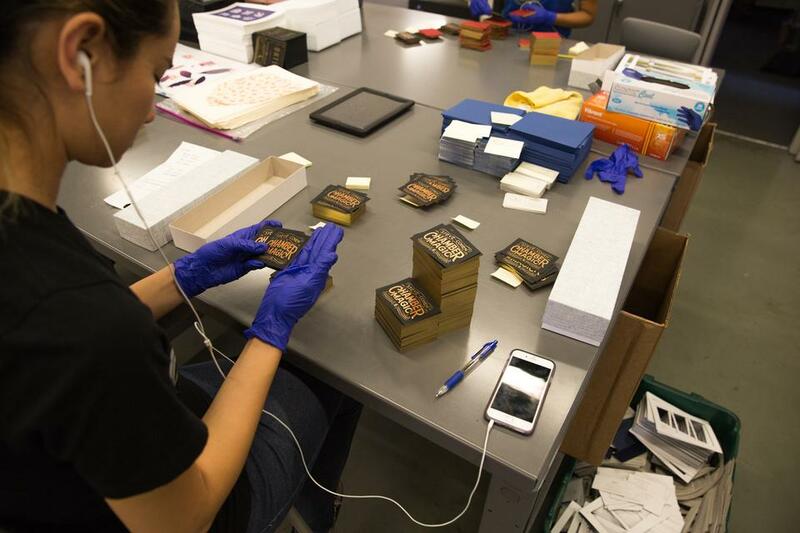 Giving a shine and shimmer finish that adds aesthetic to the final product. 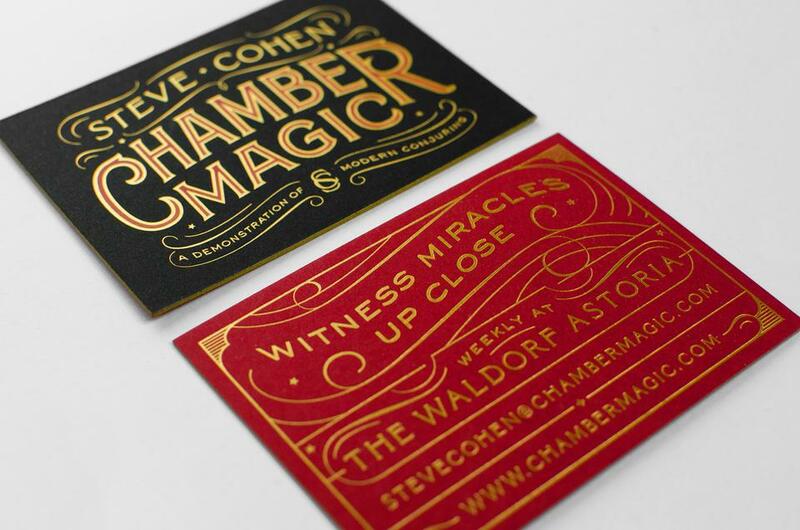 Notice how well the foil covers the Epic Black paper and creates great contrast, as well as the edge paint that makes use of the thick duplexed edges to add even more shimmer. 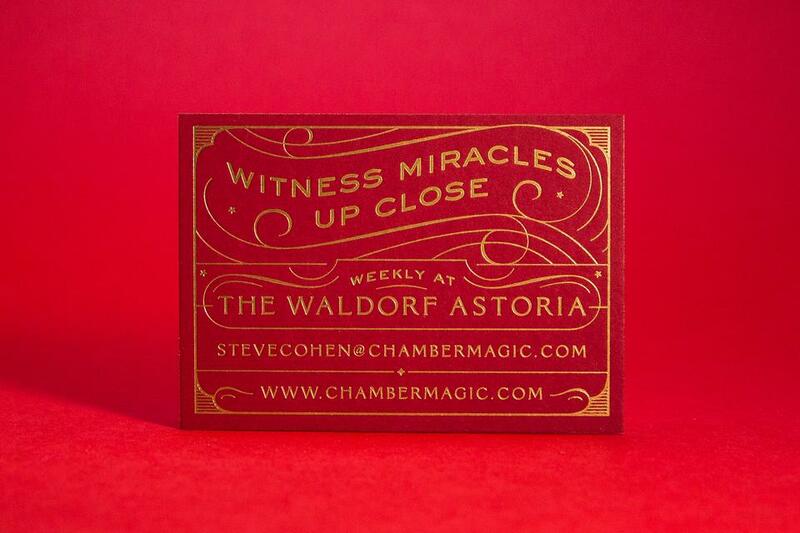 If you look at the close up of the "A" you'll see that we have matched a red screen print ink to French Paper Co's Electric Red, which is used on the back of the card. 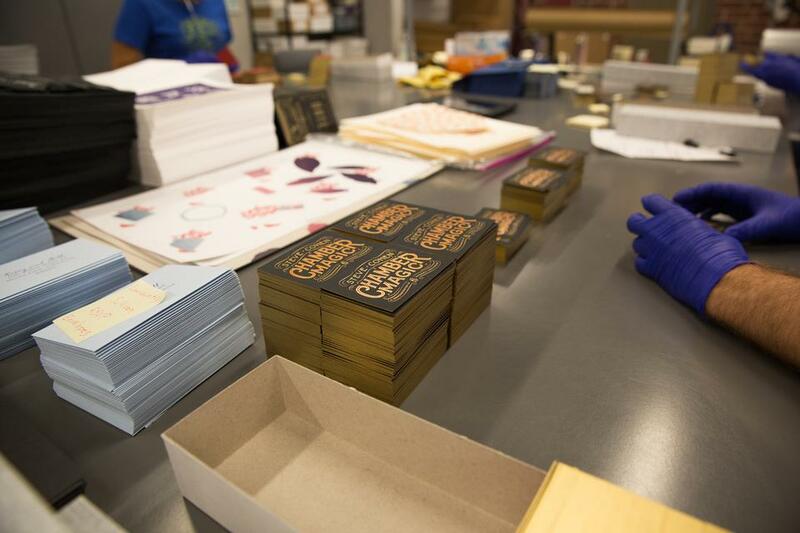 An orange screen printed ink with a halftone pattern was also used to add texture and detail. 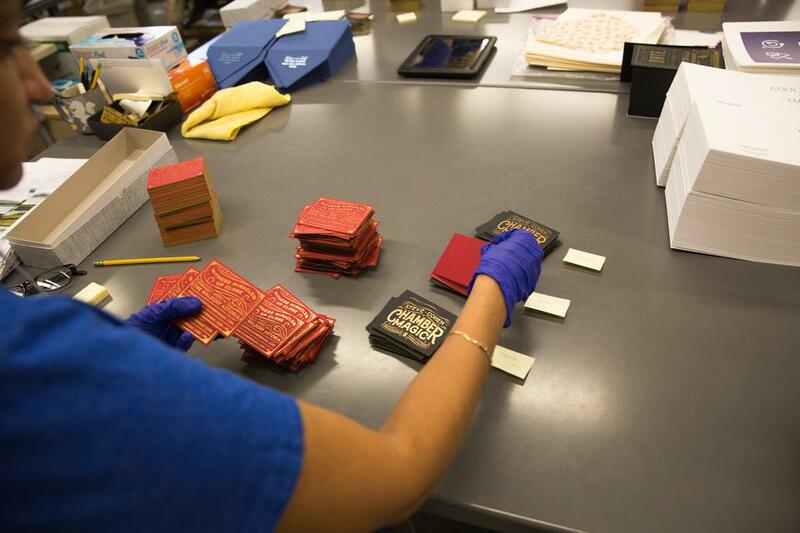 Laying the gold foil on top of the screen printed colors, frames them to create a very unique look. 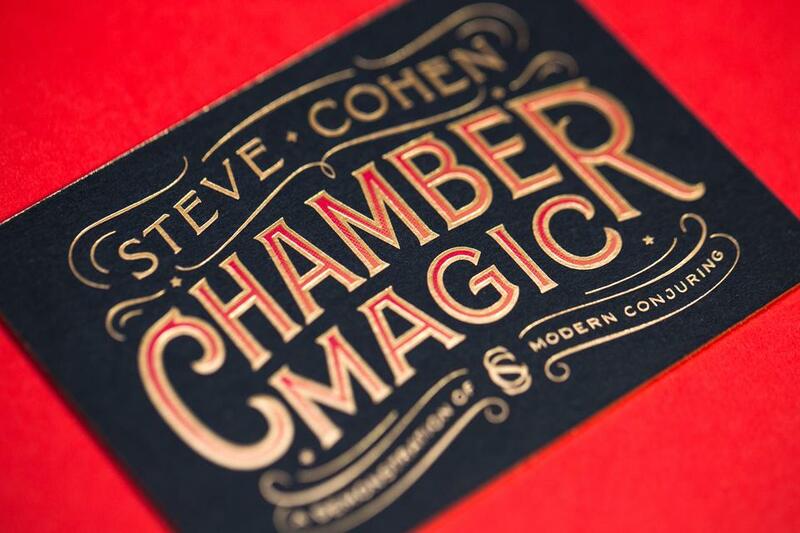 "Steve Cohen wanted a design that would feel authentic or appropriate during Houdini's time. 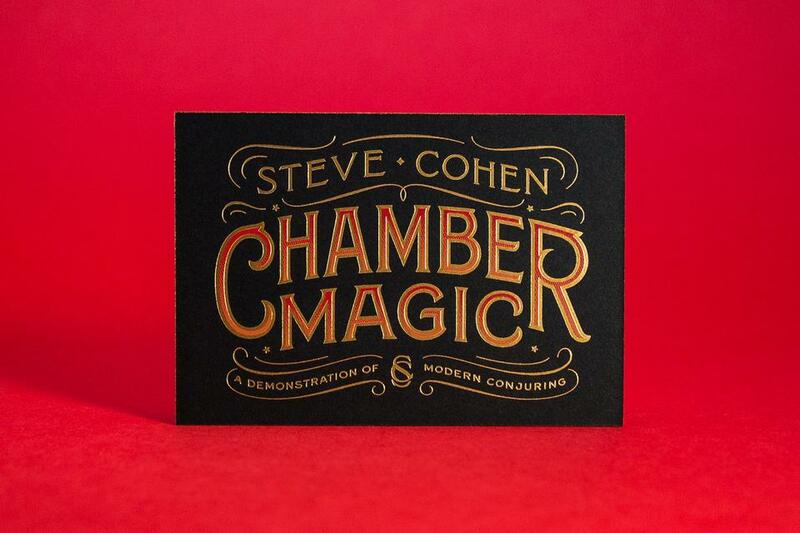 I knew that foil stamping and screenprinting on black paper would allow us to achieve something mysterious and inviting. Halfway through designing the logo, Steve pointed out that we shared the same initials, and admired my personal monogram so much, that he wanted to use it as part of his logo."